An alleged update of Samsung's Galaxy A5 model, predictably named the A5 (2017) has been circulating the rumor mill for some time now. The handset was first spotted in an early benchmark back in August, followed by a few renders, leaks and even an alleged beta unit review on video. 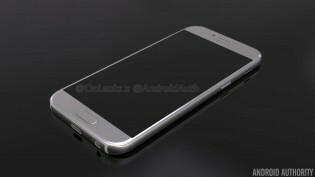 Since the previous Galaxy A5 (2016) was unveiled in December, it is likely the 2017 iteration will hit shelves soon as well. We already have a pretty good idea on what to expect in terms of specs and a fresh new leak from an Arabic source offers yet another confirmation of some of the hardware. The Samsung Galaxy A5 (2017) will be equipped with a 5.2-inch, FullHD panel, with a Gorilla Glass 4 on top. 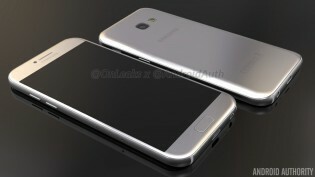 The display will almost definitely utilize Samsung's signature Super AMOLED technology. However, the form of the panel is still a debated point. The source clearly list a 2.5D finish, which implies a small curvature near the edges of the glass. 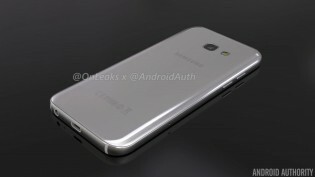 However, there are rumors floating around of a full-on double curved panel. There is little info to support such claim, apart from some suspiciously modified renders. Thus, we are fairly confident that a 2.5D finish is all the curvature we cab expect on the front of the A5 (2017). Moving on to internals, the chipset is also subject to some speculation. Sadly, the new leak provides no info on the matter. 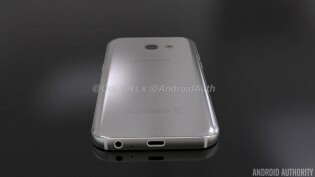 Going by past leaks, we can expect an Exynos 7870, or perhaps an updated version, dubbed the Exynos 7880. In any case, the efficient 14nm process should yield impressive battery life for the suggested 3,000 mAh pack. Working alongside the aforementioned chip should be 3GB of RAM and 32GB of expandable storage. As for the camera department, we are likely looking at two 16MP shooters with an F/1.9 aperture - one on the front and one on the back. Other notable suggested features include an aluminium frame with 3D glass back design, a fingerprint reader, USB Type-C connector, Dual SIM support and some form of water resistance certification. Hopefully, Samsung will take the wrapping off the new Galaxy A5 (2017) in time for the holidays. If not, an early January 2017 release seems most likely. which one to buy samsung galaxu s6 edge or samsung j7 prime?